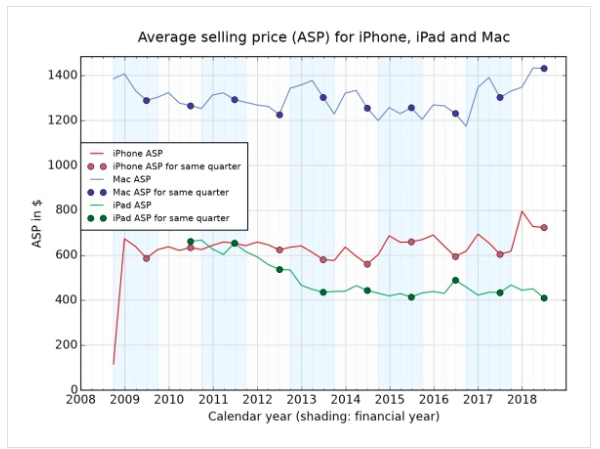 Analysis None of the new products Apple announced yesterday – laptops, desktops and tablets – are cheap, and all are more expensive than the models they supersede. But the introduction of a £2,000 iPad is by far the most eye-catching. That's the size of the hole an iPad Pro makes in your wallet if you choose the maximum specs – a 12.9-inch model with Wi-Fi, cellular and 1TB at £1,869 – and throw in £129 Apple Care. It's a far cry from the original iPad launch eight years ago, where the gate pressure started at $499 (£429)*. I suspect that breaking the £2,000 barrier is no accident – it sends the message that Apple makes super-expensive professional tablets. It probably won't mind one bit. After years of flat then declining iPad sales, in March 2016 Apple revealed its initiative to revive the product line. 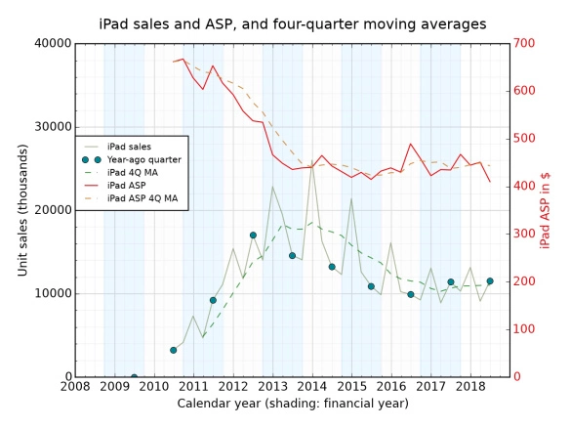 Tablet sales were in a funk, and Apple's were no exception. It split the iPad in two – a more expensive professional line that (in theory) could do more, and a cheaper classic iPad line aimed at consumers and education. The new Pro range had 4GB RAM, a new interconnect providing power to a professional keyboard, a much more capable display, and it responded to a new stylus. For the first time it featured the latest Apple SoCs – not last year's (or even older) iPhone chips repackaged. However, the parallel software initiative needed to complete this professional makeover lagged far behind. iOS had not evolved from the simplistic UI the iPad wore at launch. It was 18 months before iOS 11 gave us something laptop-like – a new platform. With the software part of the puzzle missing, it was no surprise to find that a year later the iPad was declared "done". "Apple has been phoning it in for the past few years," we pointed out. The iPad Pro line needed 2017's big-bang iOS update. The most significant technical aspect of the new iPads launched this week is the USB-C port so it gains more of the versatility of a laptop. It's very un-Apple to dispense with a proprietary port, but the firm has confirmed that this I/O will be crippled – it won't support external hard drives. Apple has tacitly acknowledged that the super-sized 12.9-inch display model was absurdly large. The new models are 11 and 12.9 inches – but remember that the display diagonal measurement stopped being a proxy for machine size a couple of years ago on phones, and now we can say the same for tablets. The larger iPad Pro is really only 11.04 inches (28cm) tall, about the size of a US letter paper. You will require a new stylus and keyboard – both, of course, are more expensive. What else? It's mostly spectacular technology that niche creative professionals will appreciate, but that will go mostly unused by anyone seeking a straightforward, workhorse laptop substitute (I'm not using the word "replacement" deliberately – even Apple doesn't claim it is). This was already apparent on last year's model, when I used the iPad Pro for a full day's work – rather than a cherry-picked part. It was great. The writing experience was surprisingly excellent. But the graphics was overkill, I noted. Many professionals need multiple documents to be open at once – two Word documents, for example... and this is still a problem. The iPad Pro 2018 feature list is a list of features I don't need: FaceID (the cheaper touch will do fine), a highly responsive 2388x1668 ProMotion TrueTone display. Bells and whistles. I don't need a "Bionic Chip" with a "neural engine" either. Third-party software that takes advantage of it just isn't there (prove me wrong, by all means). So for the "professional" who juggles data, it's still an attractive but compromised experience overall. But among an absorbing set of Apple data collated by Charles Arthur is a sign that the bifurcated strategy is working. Despite its limitations, professionals and enterprises are increasingly looking to the iPad as an adjunct. *It may be a surprise to discover that overall, iPads haven't got more expensive. ASPs are lower than their peak in 2012, but back to where they were before the Pro launched.